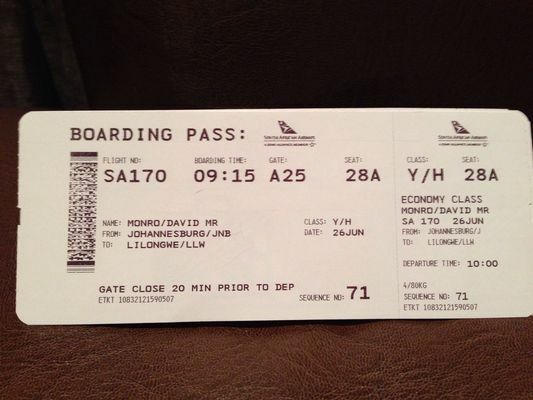 SAA promised to get us on a flight with another carrier, which didn't happen. Next SAA Flight to Malawi is Saturday ! Get the impression SAA couldn't organise a p!$$ up in a brewery ! Wondering if there will be anything left in our bags after a night in Johannesburg baggage holding ! There is no such thing as bad weather, only the wrong clothes. Wondering if there will be anything left in our bags after a night in Johannesburg baggage holding ! Fortunately we still in the airport in the travel hotel. Going to try and get a flight into Lilongwe. Wish us luck ! There is no such thing as bad weather, only the wrong clothes. Sounds like you need luck, my flight got cancelled last night 3 hours before it was due to depart. Good thing was I was sitting in the house when it happened. Bloody French they love a strike. Not to our original destination, but will be glad to see the back of this Airport ! After a day of being mucked about, I've never been happier to get boarding passes ! There is no such thing as bad weather, only the wrong clothes. That's only a bit of paper.